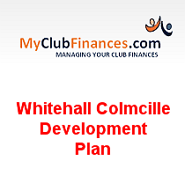 I have the honour of being selected to be the Captain of Whitehall Colmcille GAA Golf Society for 2019. The Society has being going since 1988. Sean Galvin was our Captain that year. This year we hope to recruit some new members and get back some of our old members who for whatever reasons stopped playing. 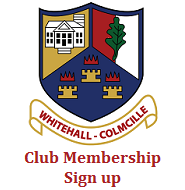 Membership is open to all club members, family and friends over the age of 18. Anybody wishing to join should contact myself or any of the Committee, which is also listed below. You don’t have to have a GUI handicap to play. We have Handicap Committee in place to deal with these issues. There are 6 outings arranged for the year (listed below). With the exception of the Captain’s Day in Carlow all the other outings are in Dublin so there is no long journeys involved. I am excited about the year ahead and look forward to meeting you during the course of same. What happens within the year? Our captain books six golf courses. Each outing is within the price range of €20 to €30. We charge an annual membership fee of €30 which is payable in installments. The fifth outing is our captain’s day and this is an overnight stay where members bring their partners along. The last outing is our turkey shoot where Butcher vouchers are won as prizes. Most of the courses are within the Dublin County Area and are played on Saturdays. This does not matter, as we have a committee who look after the handicaps and you are awarded a handicap based on your ability to play. It’s all about the fun.